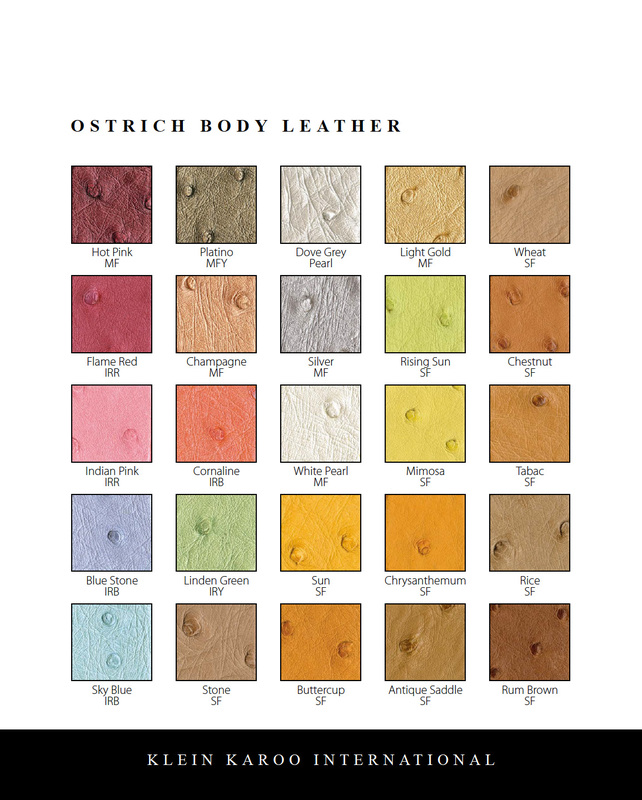 More than 400 fashion colours and in excess of 30 application ostrich leather finishes have been developed by Klein Karoo. 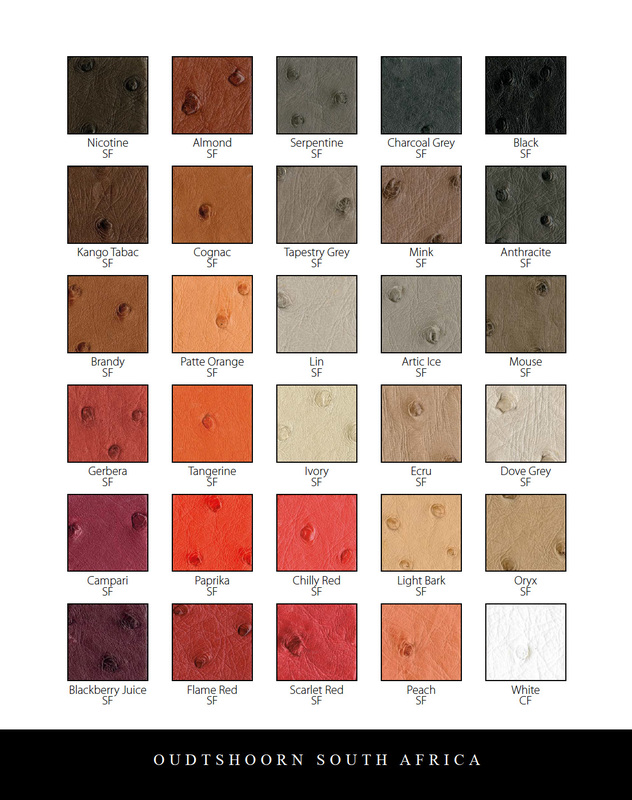 These range from aniline to fully pigmented finishes which take care of fashion, furniture and automotive requirements. 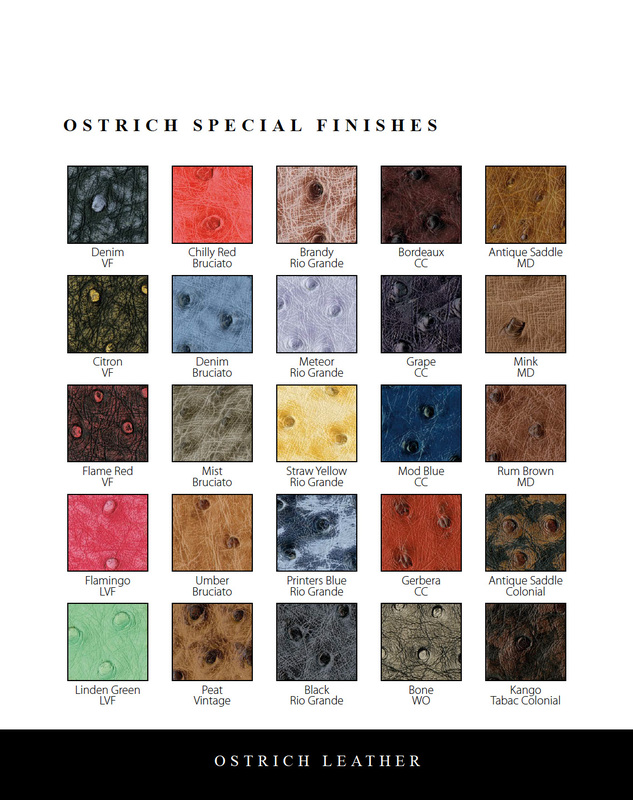 The aniline finishing is done by hand completely. 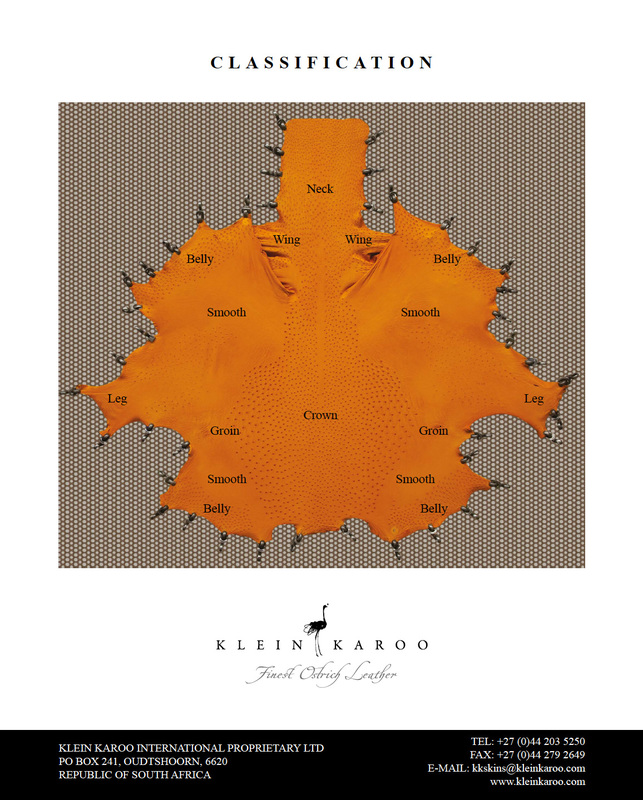 The core colour chart and information on finishes is available from tanyas@kleinkaroo.com. 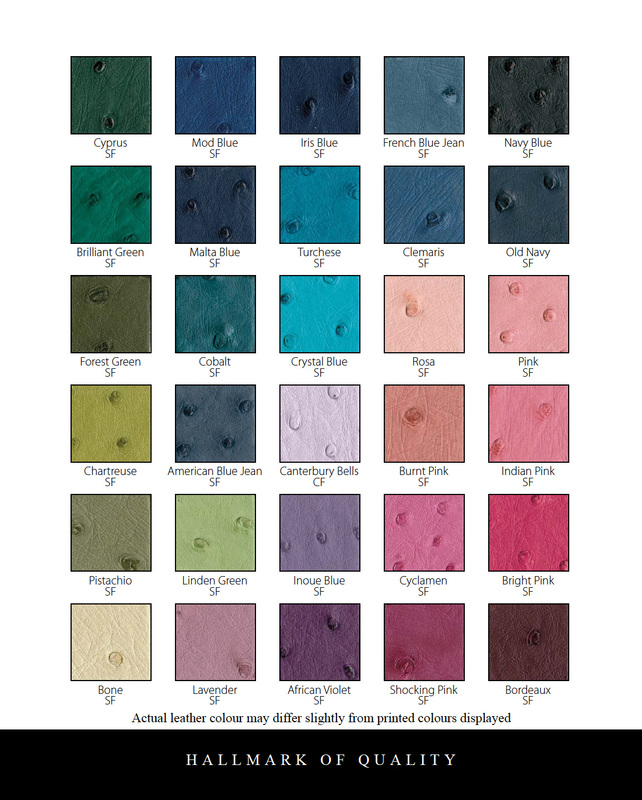 Please note that the colours displayed are approximations and not to be used for colour matching.